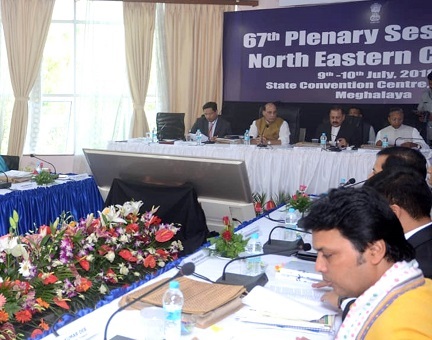 After governors and chief ministers from the Northeastern states expressed their concern over stopping of projects by the Centre already approved last year, the Project Identification Committee (PIC) headed by DoNER secretary will hold its meeting to discuss the issue within this month. After the Union Cabinet gave an approval on March 28 this year to implement a new scheme “Northeast Special Infrastructure Development Schemes (NESIDS)” in place of the Non-Lapsable Central Pool of Resources (NLCPR), the Expenditure Finance Committee (EFC) of the Union Ministry of Finance has also asked states in the Northeast to stop all projects under NLCPR already sanctioned during 2017-18. However this move of the EFC did not go down well with the governors and chief ministers from the northeastern regions, who are also members of the NEC. The NEC members opined that such a decision should have been taken at the Plenary of the NEC which is considered the highest decision making authority, instead of the Union Cabinet. The Centre claimed that projects under the new scheme (NESIDS) would come to the Northeast with 100 per cent funding, but NEC members felt that projects already approved under NLCPR during 2017-18 should be also allowed to continue for the benefit of the region. Projects under NLCPR were funded 90 per cent by the Centre, and 10 per cent by the respective states in the Northeast. While only around Rs 1600 crore would be funded 100 per cent by the Centre for projects under NESIDS, projects under NLCPR would come almost to Rs 40,000 crore even though they are funded on the 90:10 basis. Mizoram chief minister Lal Thanhawla, Meghalaya chief minister Conrad K. Sangma, Nagaland chief minister Neiphiu Rio and others have raised the issue at the plenary. The NEC members pointed out that the decision to withdraw projects for the year 2017-18 has led to sense of disquiet among the North Eastern states. “It has also disheartened the state government departments that have spent considerable time, effort and money in the preparation of detailed project reports,” Conrad said. NEC secretary Ram Muivah on Tuesday said that governors and chief ministers from the region have raised this issue at the plenary, and some decision was taken that the Project Identification Committee (PIC) would hold a meeting within this month to discuss the matter further and take a decision. NEC members also questioned the decision to stop the projects already sanctioned during 2017-18 and the decision to introduce the new scheme (NESIDS) by bypassing the Plenary of the NEC and undermining the NEC which is a statutory body created under NEC Act 1971.